Where Are You Ordering Your 2019 Mego's From? 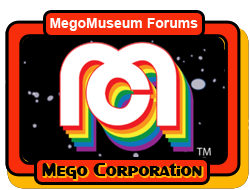 Thread: Where Are You Ordering Your 2019 Mego's From? I placed my preorder with Cotswold, but will have to get Freddy elsewhere. Relying on my American friends to get my hands on a couple of Ali’s. So far, Cotswolds and Target. I decided to take the plunge with the new Megos. I’ll have them for preorder here in a day or so. $14.50 for the 8” and $19.50 for the 14” plus exact actual shipping. Pick up option if you live close - I live in northern Delaware. Let me know what you are needing. Cotswold has New Mego on the cover and up front in their newest catalog. Wave 4 looks nice! I ordered some Wave 4 figures from Zolo's World. Package arrived today! Kirk, Spock, and the Romulan are in the house and looking good. I received my Trek order from Amok Time today. Very nice. Ordered from Amok because BBTS didn't have them up at the time (went up like the next day on Big Bad). Hopefully picking them up this noon at the post office. I just ordered Aquaman, Romulan & Spock from BBTS. Would've ordered Frankenstein but the pre-order was sold out. I like that their prices are realistic ($14.99 for 8" & $24.99 for 14") and they don't force you to buy by the box. I might get Frank thru Zolo's though. I preordered the two I wanted Nosferatu and Invisible Al Bundy at Toywiz and they shipped the other day, supposed to be delivered by Wed!! Got the 4 Star Trek figures from Cotswold for $54.99 plus shipping. That's a pretty decent deal to have them delivered to your door. I don't know if they will ever show up at Target so it's nice to get them all at the same time, no running around, no wasted gas. Target.com is even annoying with product that I want being out of stock all the time, or back in stock for about 5 seconds before it's out of stock again.